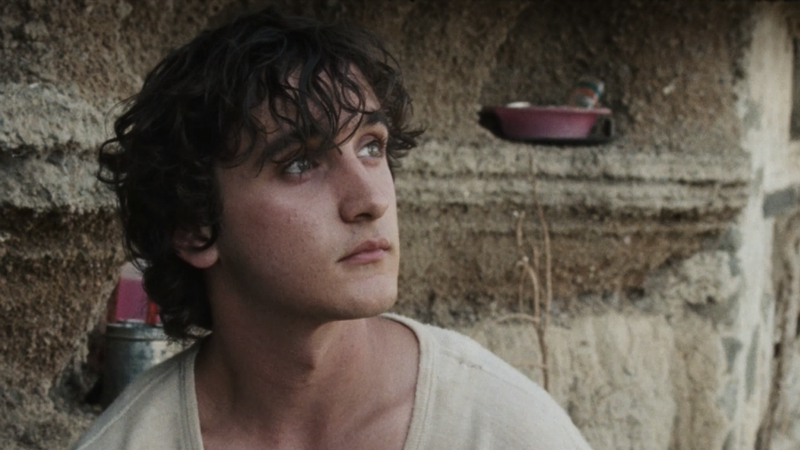 The young and angel-faced Lazzaro (Adriano Tardiolo) is the epitome of trustfulness, selflessness and altruism. He does anything anyone asks him without either questioning or becoming angry. He assists peasants, robbers and crooks without hesitation. He volunteers for the most arduous and absurd tasks on behalf of the most futile, greedy and least deserving human beings without blinking. But it isn’t just his personality that’s superhuman. His physical abilities are also extraordinary. He never gets tired and cold. Maybe he’s even immortal. The story starts in the impoverished and aptly-named rural town of Inviolata (Italian for “inviolable”), where a group a group of peasants work as sharecroppers in conditions analogue to slavery for the pompous Marquise De La Luna and her son the eccentric Marquis De La Luna. The decrepit buildings and working conditions suggest that the town is in the South of Italy, although its exact location is never revealed. 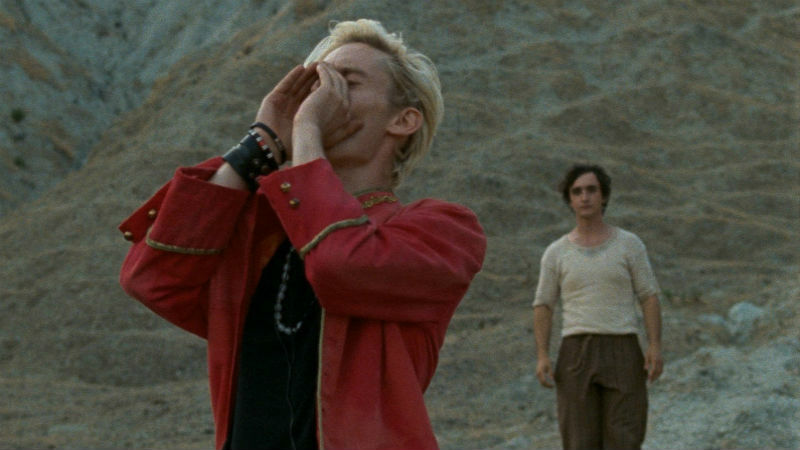 Lazzaro helps both the peasants and the bosses without drawing much attention to himself. He’s prepared to do anything for his people. He will offer his very blood is asked to do it. Suddenly, De La Luna’s “great swindle” is uncovered. She’s arrested and the farm abandoned. The peasants move to the city in search of pastures green. Then the film moves forward several years. The actress Alba Rohrwacher, who happens to be the director’s elder sister, plays different characters at the different times. Everyone ages. Except for Lazzaro. He looks exactly the same; even his plain clothes remain unchanged. It’s as if he refused to age in protest of our futility as human beings, a little bit like in the German classic Tin Drum (Voelker Schloendorff, 1979). The film contains a plethora of biblical references. The resurrection of Lazaro is most immediately recognisable one. There’s also a wolf, but here the canine doesn’t lick any wounds. There are many more references, which you may or may not identity. Fortunately for everyone, this is a movie so profound and universal that you will enjoy it even if you are not too familiar with the Holy Book. Italian ladies are now firmly established of the forefront of Italian cinema. Check out our review of Laura Bispuri’s Daughter of Mine, which premiered earlier this year in Berlin and also stars the chameleonic Alba Rohrwacher. Both movies provide fascinating and realistic insight into the impoverished South of Italy. Roberto Rossellini would be extremely proud of these talented ladies.